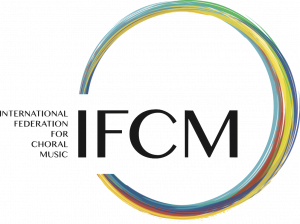 There can be no doubt that Poland is a country with a rich culture of choral music, and our readers will remember that roughly a year ago the ICB included an extensive feature on the nation’s relationship with choral music. In particular, the period from the beginning of Advent up to Christmas typically sees a large number of very interesting events. Returning to Poland is always a pleasure for me, and I do so whenever I am invited back there: the nation’s history, the wealth of its culture, the beauty of its cities, the kindness of its people and their love of music are all reason enough alone to visit. When the magic of the Krakow Advent and Christmas Choral Festival and the International Choir Conducting Competition ‘Towards Polyphony’ is thrown into the mix, the prospect of an unforgettable experience becomes a certainty. The city of Krakow already enjoys a well-earned degree of fame and was the capital of catholic Poland until the end of the 16th century, when that role was transferred to Warsaw. The city’s mediaeval centre was declared a UNESCO World Heritage Site in 1978. Krakow was home to the much-loved Karol Wojtyła, Pope John-Paul II, for over 40 years; he never forgot his old haunts, and loved to reminisce about the city. The people of Krakow would have liked to have seen him laid to rest in the city’s cathedral, alongside the Jagiellon and Vasa kings of Poland. This did not happen however, and there was some controversy when the honour was later conferred on President Lech Kaczyński and his wife, following their deaths in the 2010 Smolensk air disaster. The austere beauty of the city’s churches formed the backdrop for the ‘Krakow Advent and Christmas Choral Festival’, which ran from the 9th to the 11th of December 2011. This year’s event saw the participation of choirs from Norway, Ukraine, Italy, Latvia, South Africa, Russia and Singapore, in addition of course to those from Poland. The contest saw First Prizes go to the girls’ chamber choir of KSSMS Lysenko, Ukraine (chamber choirs category), the Spigo choir from Latvia (youth choirs), the Ave Maria choir from Ukraine (mixed voice choirs: adults), the Dunman Secondary School Choir from Singapore (children’s choirs) and the Oriana female choir, also from Ukraine (equal voice choirs: adults). Aside from the main competition, all of the groups took the opportunity to perform in special concerts held at the various churches around the city. The only thing missing from the fairy tale atmosphere was the snow, and it would be a little unfair to blame the organisers for that! Watching over the festival to ensure that everything ran smoothly was the attentive and expert eye of Maciej Przerwa, artistic director of Polonia Cantat. Next, an ambling train took me across Poland to Wrocław, which was to host the International Choir Conducting Competition ‘Toward Polyphony’ from the 14th to the 17th of December. Wrocław has a different kind of beauty from Krakow, perhaps less obvious at first glance, but it must be said that the city has given the world many famous figures. The famous conductor Otto Klemperer was born here, as was the fearless First World War fighter pilot Manfred von Richthofen, better known as the Red Baron. 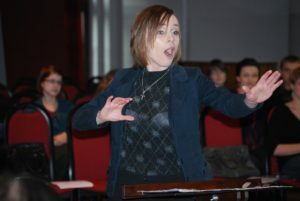 At the prestigious venue of the Karol Lipiński University of Music, the young conductors competed in directing pieces from different periods, looking for the best way to emphasise the beauty of the music at the same time as bringing the best of their own artistic sensibilities to bear. 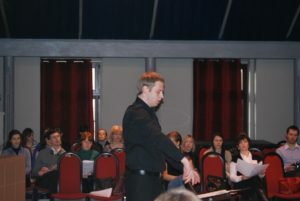 The repertoire ranged from Monteverdi to Debussy, but also included works by Szymanowski, Koszewski, Jasinski and Łukaszewski. 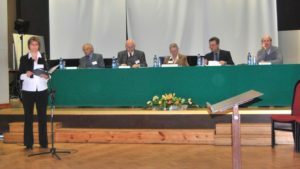 Of course, there was also an educational purpose to the competition that was realised through the meeting and exchange of ideas not only of the members of the panel, but also of the other competitors and experts who were following the proceedings. 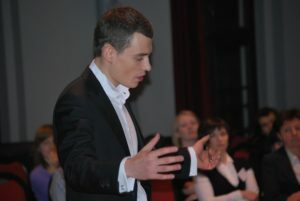 All of the performances took place in the University’s theatre, where the excellent acoustic qualities and engrossing atmosphere lent the right grandeur to the event. 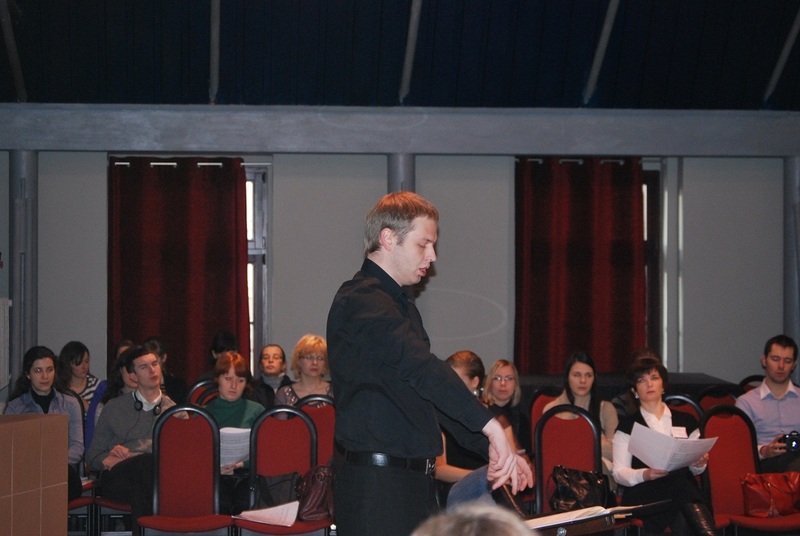 The fifteen young competitors from Ukraine, Belorussia, Latvia and Poland strived to convey their own interpretations of the music to the three workshop choirs, whose members showed their flexibility in being able to follow the instructions of the different conductors. At the close of the competition the panel, made up of Professor Zofia Urbanyi-Krasnodębska, Andrea Angelini, Hans Jaskulsky, Janis Lindenbergs and Ryszard Zimak, awarded the winner’s trophy to Alexander Humala, from Belorussia. Two Latvians, Rudolfs Kreslins and Ilmars Millers, were awarded second and third place respectively. Like the rest of Poland, Wrocław lived through the full horror of the Second World War, and it was one of the last major centres to be liberated by Soviet forces. Under German occupation the city was transformed into a fortress that was to fight to the bitter end: the entire population was forced to leave and the city was only surrendered following dogged resistance, well after the fall of Berlin. It was carefully reconstructed, bringing magnificent historical monuments back to their ancient splendour. Wrocław flourished in its position on the Amber Road and was known throughout Europe for its university, which occupied an enormous baroque building that was partially open to visitors. Of particular note is the Aula Leopoldina, used today as the university’s auditorium and Oratorium Marianum. It was in this very room, which once witnessed performances by legendary musicians including Liszt, Brahms and Grieg, that the winners were awarded their prizes before a packed audience and the various authorities present. The event’s success brought a big smile to the face of Marta Kierska-Witczak, festival co-ordinator and one of the workshop choir conductors.